Additional Notes: MALE: Havanese/ Lhasa mix, 13 years old, white coat, not wearing a collar, front bottom right tooth is outside of his lips. 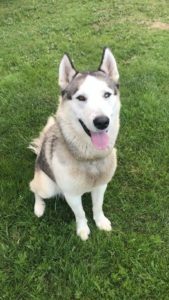 NAME: Brady He went missing on March 23/19. NOTE: Brady slipped his collar and line. IF you live in the area the owner has a broken leg and would appreciate any sightings. Thanks. Additional Notes: FEMALE: Labrador Retriever/ AmStaff mix, approx. 2 years old, blond coat, not wearing a collar. 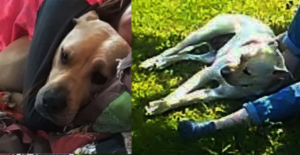 NAME: Molly she went missing on March 22/19. The address for mailing comes up as Wilmot, but this is actually closer to Kingston near Melvern Square (near Vault Rd and Spa Springs Rd). 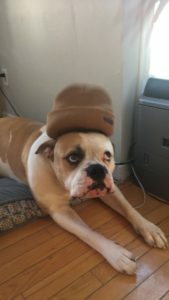 Additional Notes: Dozer is an american bulldog, 90 pounds, seven years old, white and brown markings and kind of bug eyed. His hips can cause him problems if he walks for too long. At 10:00am this morning Dozer ran away out the backyard while being let out. He was not wearing his collar. He is a lazy, and well tempered dog. But he’s anxious and wary around other dogs. 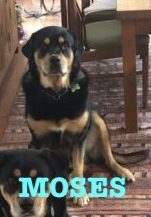 Additional Notes: Moses looks like an oversized Rottweiler, he is very friendly and a bit timid..Smooth coat and loves treats. Moses walked off during a walk along Seabright Road along the Antigonish Harbor. I hope he is found safe. He is missed terribly. Additional Notes: These three adventurers escaped from their electric fence and are on a walk about. They are friendly. Please report any sighitngs or leads immediately, thank you. 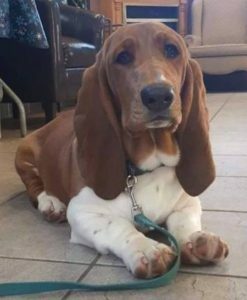 Additional Notes: MALE: Basset Hound, 5 months old, brown and white – very distinctive brown face, wearing a teal collar, no tags. He has sustained injuries on his neck. NAME: Kevin He went missing on Feb. 20/19.